What's the old saying?, "If you want to learn about a subject, teach it." I certainly found that to be true this last Wednesday afternoon. 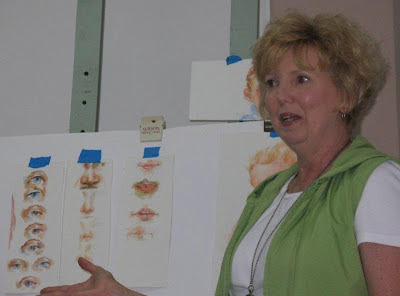 Sally Murphy, a wonderful watercolor and multi-medium artist, leads our art group in a teaching session once a month. (Click on her name to see some of her watercolors.) 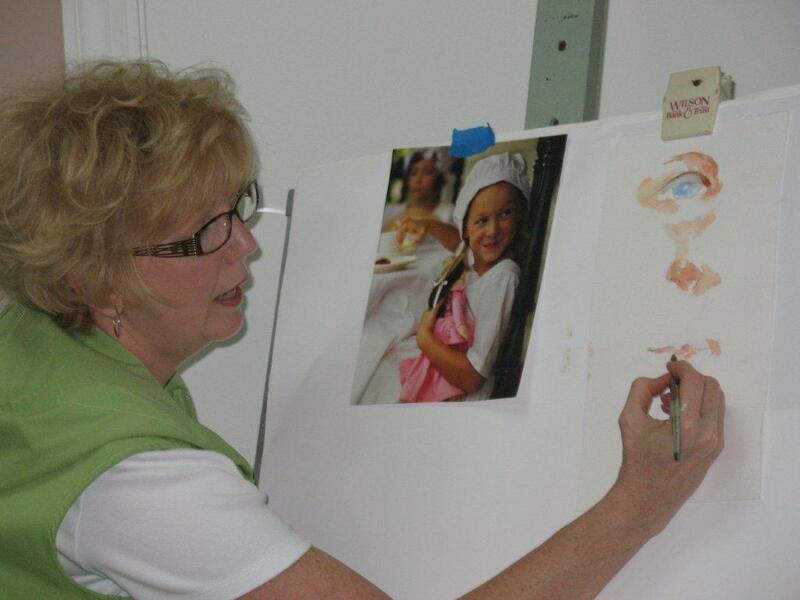 Our very talented art group meets at the Mount Juliet Senior Center every week and has a wonderful time together drawing and painting in oils, acrylics and watercolor. For the month of October, knowing that I have a passion for painting faces, Sally asked me to teach a session on painting portraits. So I accepted the challenge and hoped for the best. I decided to focus on a very important facet of portrait painting - the facial features. So I taught a few basics on how to paint the eyes, nose and mouth in watercolor. Preparing for it and teaching it was great fun and true to the saying, lo and behold, I learned stuff! Hopefully, others did too! Thanks, Sally, for the opportunity. Here are a few pictures she took during the session.